Many hands make light work, and when Housing SA has 40,000 homes needing horticultural maintenance, it really is all hands on deck! For more than 30 years, Bedford’s Adelaide Property and Gardens (APG) team has provided horticultural maintenance, landscaping upgrades and common area maintenance for Housing SA properties around Adelaide and many regional areas. APG provides skills and vocational training that lead to greater employability and directly address underemployment of people with disability in disadvantaged communities. 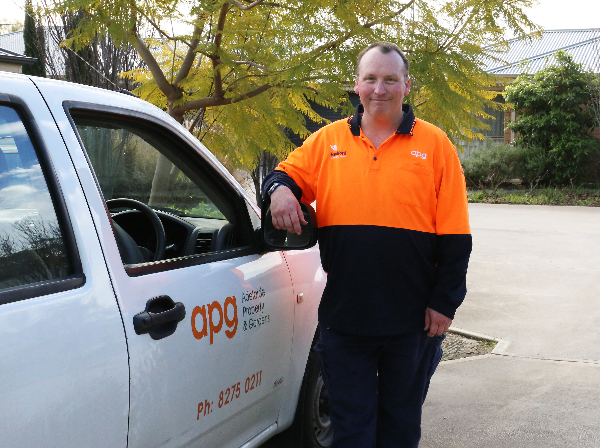 Through APG, up to 30 people with disability work on Housing SA projects. In late 2016, Housing SA tendered for its horticultural maintenance services, with a strong emphasis on social outcomes. The program aimed to create opportunities for South Australians from vulnerable backgrounds, including people with disability or social disadvantage. APG successfully tendered for four regions, including southern Adelaide, Murray and Fleurieu, Limestone Coast, and Eyre and Western regions. UrbanVirons also successfully tendered for the horticultural maintenance program. Of their 65 staff, two identify as Aboriginal people, nine are over the age of 55, and five are under the age of 25. Through a work experience program with Tauondi Aboriginal College, they will soon be employing another full-time worker. Additionally, UrbanVirons works with Minda to maintain a number of Housing SA sites, employing 1.5 full-time maintenance teams. In the Port Augusta region, PW and MK Solomon Ground Maintenance are responsible for the Housing SA horticultural maintenance program. Of their team of workers, one identifies as an Aboriginal person, six are over the age of 55, four have disability, and five are public housing tenants. The business also participates in the Industrial Pathways program for secondary students and intends to employ another trainee to contribute to the Housing SA horticultural maintenance program. It’s great to see local businesses supporting diversity in their workforce and we are proud to partner with them on socially responsible employment.